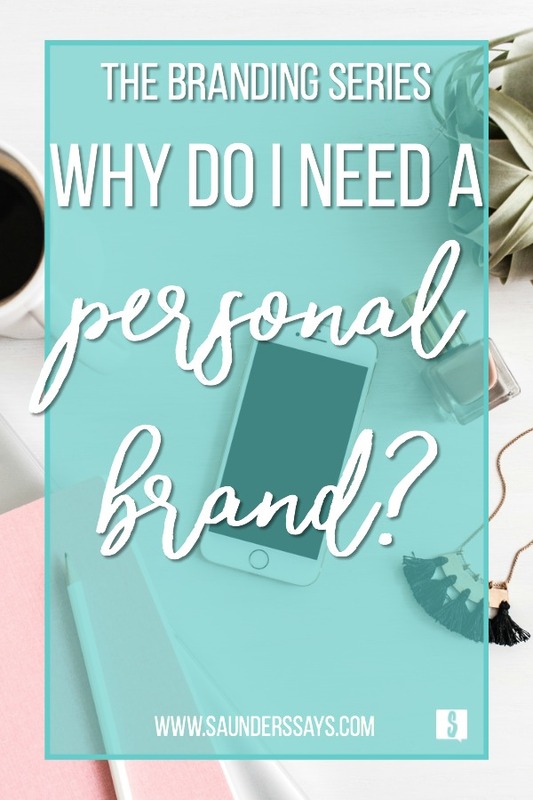 Branding Series Part 1: Why Do I Need a Personal Brand? Welcome to the first post in the Summer Branding Series! Each week, I’ll share a new post on branding! My friend, Devin Zarda from DevinZarda.com, is the first guest blogger in the series and wrote this post on why you need a personal brand. Enjoy! Imagine you’re standing in a stadium filled with people. You’re not there for a game, so you look around to see who is in the crowd with you. Surprise! It’s all members of the same company as you! You look into the center of the stadium and there is one customer standing in the center. Who is going to be able to serve the customer? The first person down to them? Probably not. It’s going to be someone who stands out among the crowd. In person this is easier; people recognize your face. But how do you do this online? It’s easier than you think, friends! You create a personal brand! If you want to stand out among the crowd, the easiest way to do it is by creating a personal brand. You want someone to see something online and instantly have you pop into their head, right? This is the easiest way to do this. I’m not going to lie, I get tagged in pictures all of the time because of my object association. That means that people are consciously thinking of me. But I’ll dive into that in a bit. What Makes A Personal Brand? There are multiple parts that go into a brand. Let’s break it down into a few categories. This is the part that most people think of first. This is the fonts you use, the colors you choose, and any design elements you decide to incorporate, including a logo and watermark. This can be the easiest part of branding, but people tend to freak out when they think about it. I’m going to ask you to slow your roll if you’re heading towards panic city. This doesn’t have to be set in stone. You can also hire a graphic designer like Nicole to create beautiful graphics and logos for you! Check out her Work With Me page for more information! Think of how many times companies have changed parts of their branding, whether it be fonts, logos, or colors. If you’re already creating your own graphics, go look at the backgrounds, fonts, and colors you’re using. Do you use these same ones over and over again? Well, you’re already working on creating a brand without realizing it! Own it, declare it, and make it intentional. Take this part in baby steps so it doesn’t feel so overwhelming. Tip: Go create a secret board on Pinterest. Pin fonts you like, color schemes that feel like you, and graphics that give you an overall good feeling. This will help you narrow down what you like when you see that you’ve pinned the same shade of teal 14 times. This is one of my favorite parts of branding. Let me tell you a little story. My best friend Emily LOVES turtles. She can’t tell you why, but she’s always been drawn to turtles. She has these kitschy turtles all over her house because people buy them for her when they’re on vacation. I knew about her obsession with turtles within the first three weeks of knowing her, so I was bound and determined to get as many pictures of sea turtles for her when I was scuba diving on vacation. Now, how does this play into branding? Emily has an object association of the turtle. People instantly think of her when they see one! This is the purest form of object association because she has done nothing to reinforce it besides telling her friends she loves turtles. Her turtle obsession has taken on a life of it’s one. Now, what’s my object? It’s the humble, yet versatile potato. Wait, don’t you sell clothes, Devin? Isn’t looking like a potato kind of a put-down when it comes to describing someone’s shape? YUP! However, my husband is a potato farmer. I’m also the Vice-President of the Wisconsin Potato Grower’s Auxiliary and I help with marketing Wisconsin potatoes nationwide. The potato didn’t come naturally at first, like Emily’s turtles. I had to reinforce my object association by asking for potato recipes, taking pictures with potatoes or potato-related items, posting potato jokes, etc. Eventually, after a lot of work, my shopping group caught on. Now I get tagged in potato stuff almost daily! Tip 1: If you’re not sure what your object would be, ask your friends what makes them think of you. See if any of their recommendations would work. Tip 2: Your object DOES NOT need to be in your logo. My logo does not have a potato. I use a mosaic of the night sky and a tree, NOT a potato. This is the hardest part of branding. The emotional association is how you want people to FEEL when they think of you. Are you warm and comforting? Sassy and silly? Do you provide superior customer service? This part of branding is all about the feels, so it will take time to cultivate. You can talk about it until your blue in the face, but your actions will speak louder than your words when it comes to emotional association. Now, you can amplify things that you already do. My group knows that I’m sassy. But am I always sassy and high-energy? Nope. When I’m home, I tend to be more low-key. It’s not always high-energy over at the Zarda Zoo. But I make sure to amplify my sassiness and energy when it counts. Tip: Need to find attributes to amplify? Go look at reviews of you to see what people are already saying. These reviews are an easy spot to find honest reviews of your past performance. Go Out and Get Your Personal Branding On! Now friends, don’t feel overwhelmed. I know that’s easier said than done, but please know that branding is fluid and can be seen as a spectrum. Don’t feel that you have to do all of the things right away. Start with one piece, master it, and then move on to the next step. If you would like to reach out and get more info on how to brand yourself, feel free to contact me! I can help guide you, but this needs to feel like you. Your brand is a direct reflection of you! Devin Zarda was literally born into retail sales. Her father owned 5 stores over her lifetime, complete with a crib behind the counter. After a stint in Corporate America, Devin decided to leave behind the suits and board rooms to pursue her passion, helping women feel beautiful in their own skin. If she’s not in her boutique, you can find her helping on her husband’s family potato farm. Devin does occasionally sneak back into the board room as the Vice-President of the Wisconsin Potato Grower’s Auxiliary. Using her creativity, Devin has created a strong, cohesive brand for her business ventures, and is passionate in helping other entrepreneurs build their own branding.